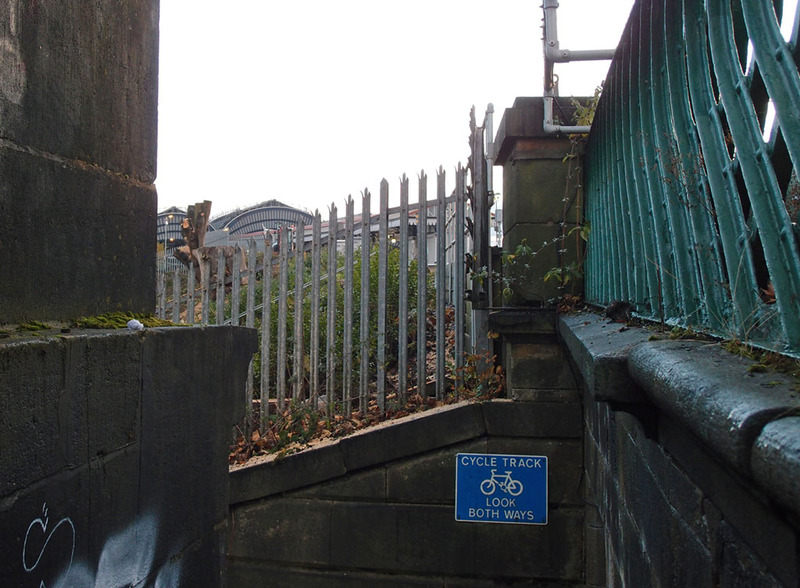 From one bridge, linked with the lines into the old station, to another bridge, carrying the York-Scarborough line into the current station. Hurrah, the Scarborough Bridge upgrade has begun, the long-wished-for replacement of the cramped and inadequate pedestrian part of it. 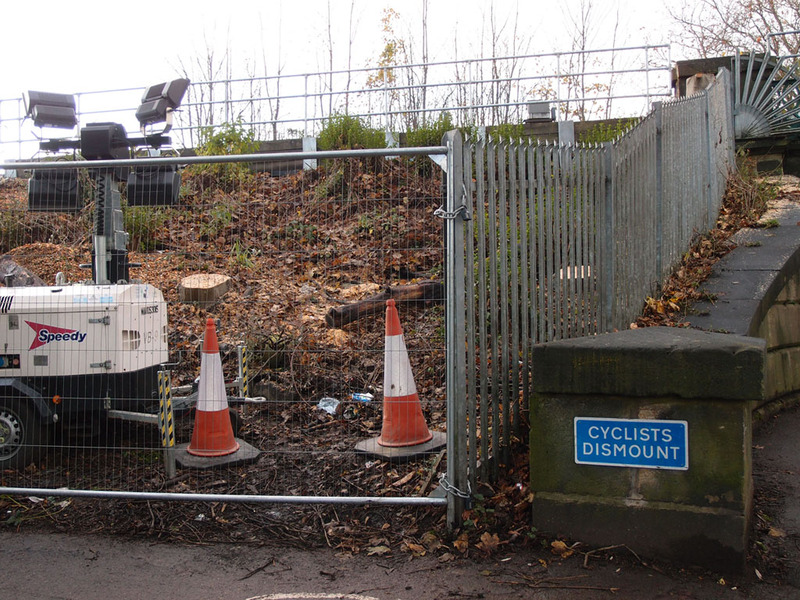 Work on the replacement structure, the fully accessible and rising-above-the-floods structure, is now underway. As far as I’m concerned this is probably one of the most exciting things that’s occurred in the local landscape in all the years I’ve been burbling on about York here on these pages. A bridge is always a good thing, and new bridges across rivers are a particularly remarkable thing, and when they’re attached to a railway line they’re an even better thing, and when they’ll be used by as many people as this new upgraded one will be … well, I think it’s chuffing marvellous. 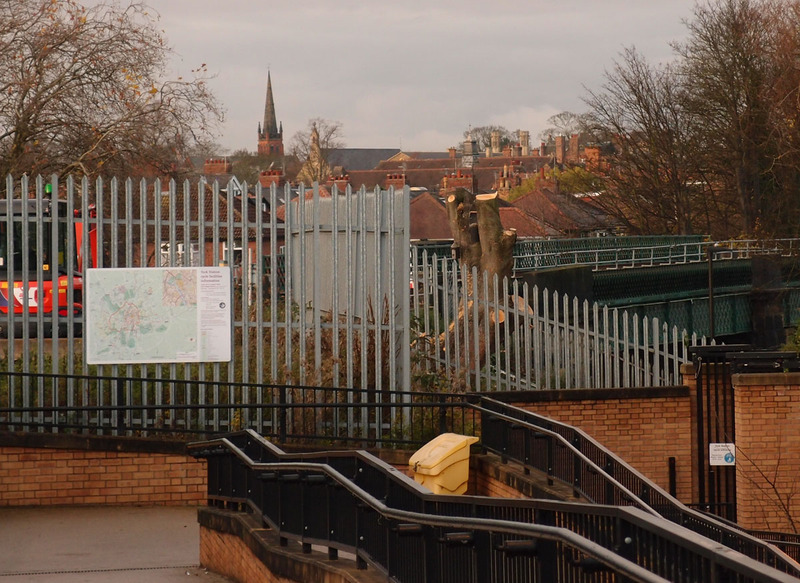 Normally I’d feel saddened by the sight of felled trees, but here, I wonder why those trees and the rather dull and litter-filled shrubbery were ever planted in the first place, because all that time they were blocking the view of the station. I stood there a while just looking across, beginning to get a better idea of how the whole new bridge deck was going to work here, what new angles on things it will open up. Looking at documents online isn’t quite the same as standing there and seeing the familiar view changed. 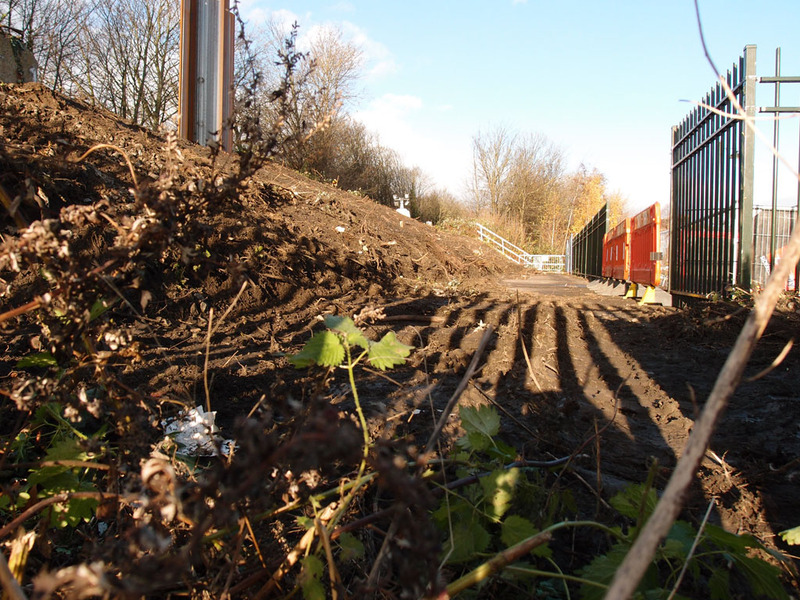 But for now let’s take the existing route, going down the steps, to the corner of the alley by the sorting office, for a closer look at the clearance work on this side. Then up the alleyway by the side of the sorting office, and up the zigzag ramp constructed a few years back. At its landing halfway up there’s a large steel fence stretching across, where we can look back towards Scarborough Bridge, and the rooftops beyond it. When the steel fencing has gone, and the new accessible bridge comes in here, we might be better able to appreciate the rather nice view of the rooftops of the Bootham/Clifton area, with the spire of Clifton Methodist Church a clear landmark. I’ve been surprised to see comments online recently from people who still think that the Scarborough Bridge upgrade work isn’t necessary, is a waste of money. I guess they’re people who don’t use it very often. The people who do rely on it to cross the river here, we know how difficult it is for so many people, and we all stand there being patient while parents struggle with getting pushchairs up the steps, and people with bikes try to push them as quickly as possible up the narrow bit of concrete at the side of the steps, and of course we never see anyone in a wheelchair crossing this bridge, because they can’t. For a major river crossing so close to a railway station in a city like York this is a ridiculous situation in the 21st century. 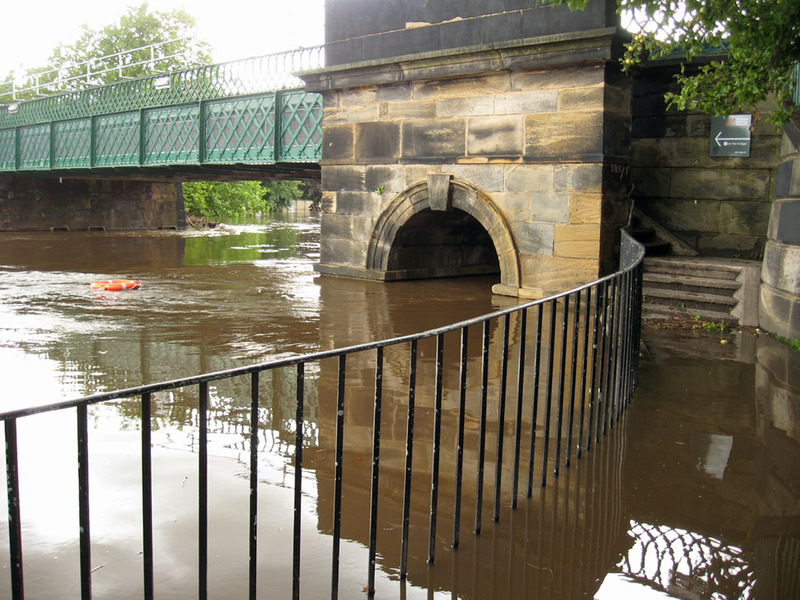 So is the fact that any time there’s severe flooding the pedestrian part is inaccessible to everyone, as the bottom of the steps are covered in floodwater and outside the floodgate. The new bridge, as it doesn’t rely on stepped access so close to the river, will still be accessible when the Ouse floods, as it does quite often. Since funding was secured, last year, there has been impressively quick progress on this project. It’s not that long since I wrote about the consultation on the ideas for the bridge upgrade, in July 2017, and then the submitted planning application, a year ago, in December 2017. The planning application was approved in March this year, and now here we are in the last month of 2018 with construction workers on site, working overnight at times, to get the work completed during the early months of 2019. 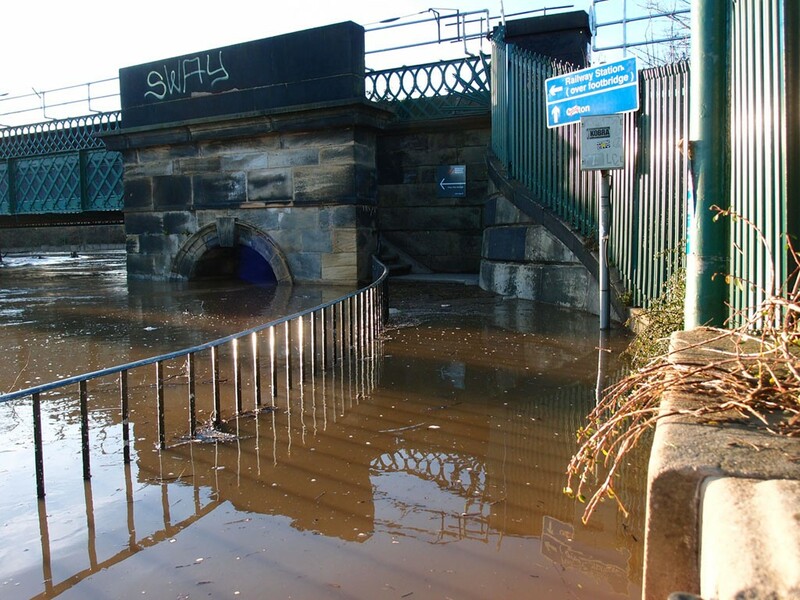 Scarborough Bridge, York, Statement of Significance (PDF). 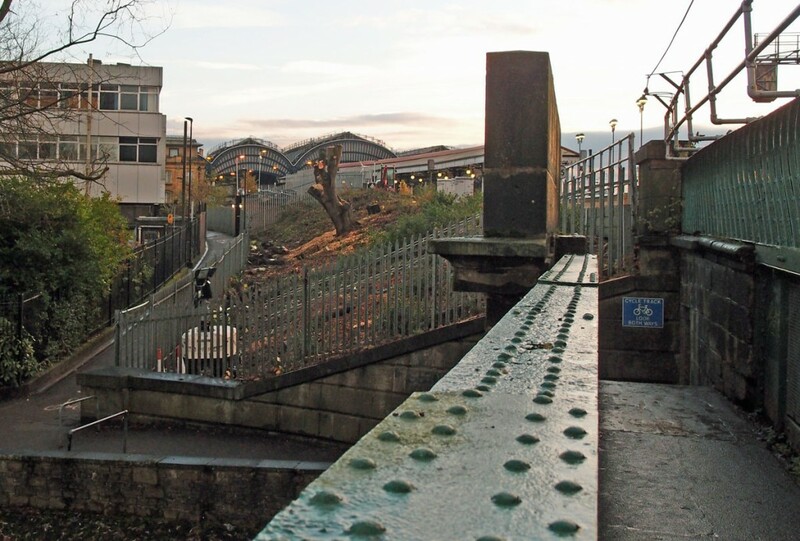 Prepared for Network Rail, October 2017 — discusses in some detail the many changes to the bridge since it was originally built, with plans and old photographs. Very clear and helpful in understanding those changes. There were many interesting documents submitted with the planning application for this bridge work. They can be found on the planning portal: 17/03049/FULM. The report prepared for the planning committee meeting is a useful summary. For my earlier pages on Scarborough Bridge, including historical notes, see all pages tagged Scarborough Bridge. If you’re thinking that this work on Scarborough Bridge thing sounds familiar, from a few years back … it was the rail decks that were replaced at that time, the pedestrian walkway work had to wait until funding was available. If you appreciate this independent and ad-free one-person effort to record York and its changes from a resident’s point of view then virtual coffees are always appreciated, and help to pay the hosting bills and power more pages. Thanks for your support. I agree, a fantastic change to a fantastic bridge. I read that over 3000 people use this bridge every day and I think the work they are undertaking will benefit every one of them. Now let’s see if it opens on schedule in March! I went past it today Mark, and was a bit concerned that the stonework I thought was being removed by now isn’t all removed yet (going by the info on scheduled works posted on the noticeboard). But perhaps I’ve misunderstood. Anyway, like you, keen for it to open on time. Hi Lisa, thanks again for your interesting insights and great photos of the two bridges. 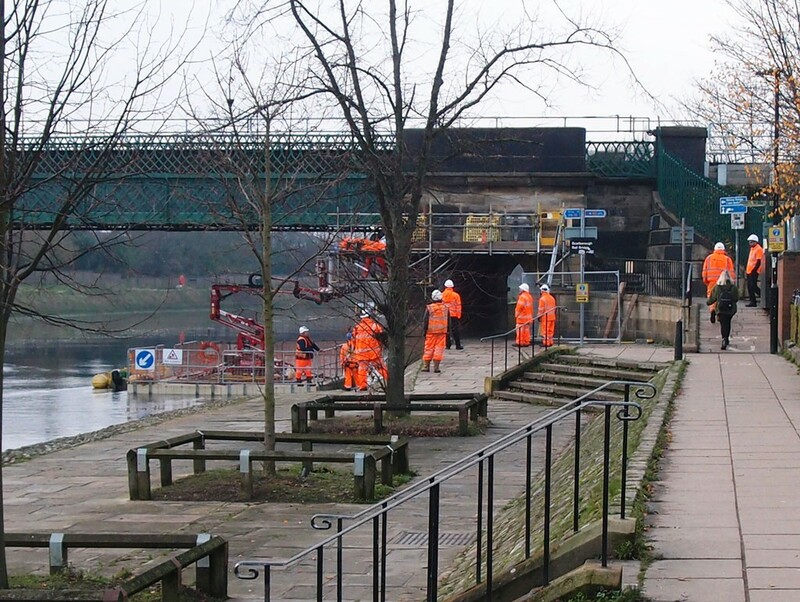 I am particularly excited about what is happening at Scarborough Bridge, as I use it nearly every day, and like you I can’t believe that there are still people saying this work is a waste of money! And just for the record, don’t change the website. It’s lovely, easy to use, and doesn’t look old-fashioned at all. Hi Helen, yes, I think it has been quite frustrating for anyone who relies on the bridge to see some of the comments from people who aren’t familiar with it at all. Thanks for your positive comments about my ‘old’ website design. 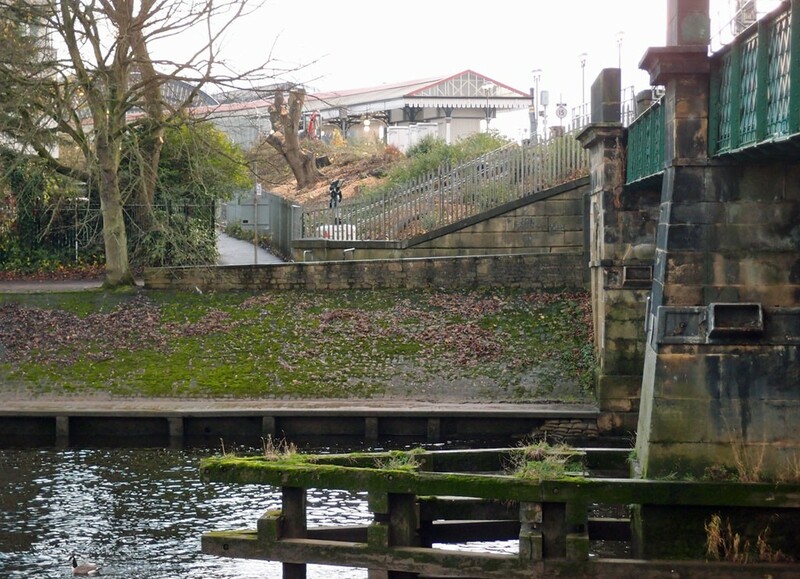 As somebody who cycles across Lendal Bridge and then down to the riverside rather than get my bike onto Scarborough Bridge, I am really looking forward to the new access. I am sure there are lots of other people who use Lendal Bridge, with all its traffic, because Scarborough is so difficult who will welcome the new bridge and the chance to avoid all the vehicles in the future. Thanks for your comment Kate. I wasn’t sure how many people do go up to Lendal rather than try to push/lift bikes over the bridge. I have crossed the bridge occasionally with my bike, but only at quieter times of day. Had a nice chat on one occasion with a couple a little bit older than me, both on bikes, only one of them could manage the whole thing of pushing/lifting bikes up the steps. The old pedestrian deck hasn’t been fit for purpose for a long time. When the new one goes in I can imagine it being rather congested to start with, with many people perhaps cycling back and forth across it just for the sheer joy of being able to do so. Please resist the urge to change your website just because it’s five years old. The appearance of your site is clean and looks as fresh today as it ever did. Thank you Ludger, really nice to read this. Have to admit that I don’t seem to have the same interest I used to have in grappling with the technicalities/coding, so would rather not spend huge amounts of time on a massive revamp.